Digital Scratchboard Illustrator Gary Alphonso | Represented by i2i Art Inc.
Gary Alphonso is a freelance illustrator based in Toronto. In 1982 he graduated from the Sheridan College illustration program and then continued his studies at the Ontario College of Art and Design. 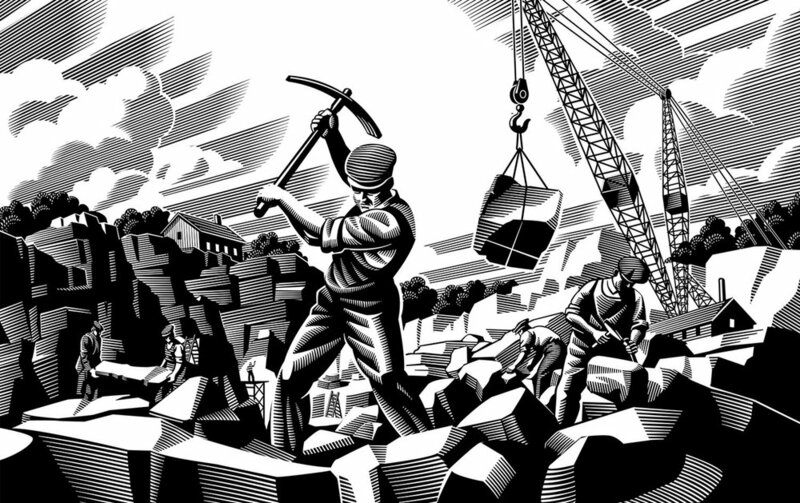 Inspired by early 20th century wood engraving he chose scratchboard as a preferred media. Gary has since taken his scratchboard style and adapted it to the digital realm which has greatly broadened the restrictions of the traditional media. His commissions have ranged from advertising to editorial and book publishing. He has also received various awards from Applied Arts, Studio Magazine, CAPIC, 3 x 3 Magazine and Communication Arts.